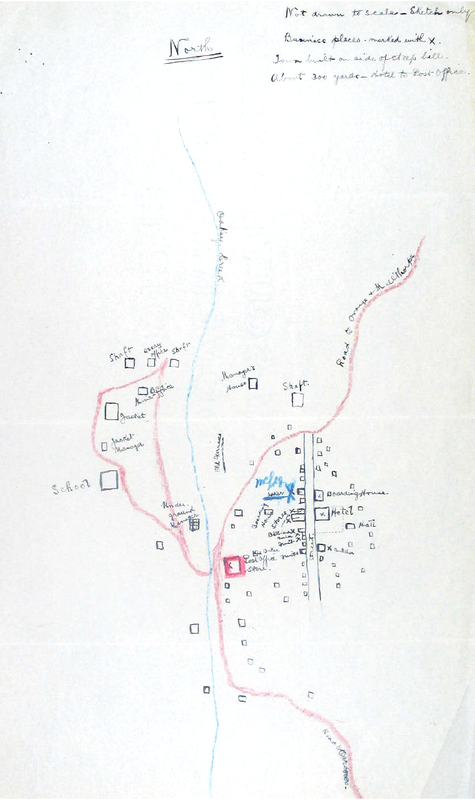 The sketch map of Cadia Village, prepared by the Postmaster in 1914, is one of a number of sources to demonstrate that the centre of the village had moved up slope from the Old Cadiangullong Store on the creek. The new main street, Chilcott Street, now had many of the shops and stores, including the new hotel. This new development of the Village was caused by the re-opening of the mines in 1905 (Cadia Post Office File, NAA, SP 32/1, Part 4. P. 83).